If you’re attending the convention, we would love to have you stop by our Booths #538 and #540. 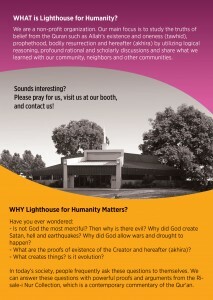 – Learn more about our organization, Lighthouse for Humanity. 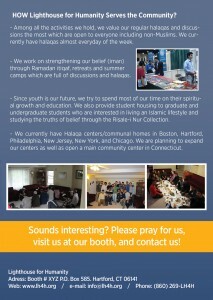 – Ask any questions regarding our organization, community and the Risale-i Nur Collection. 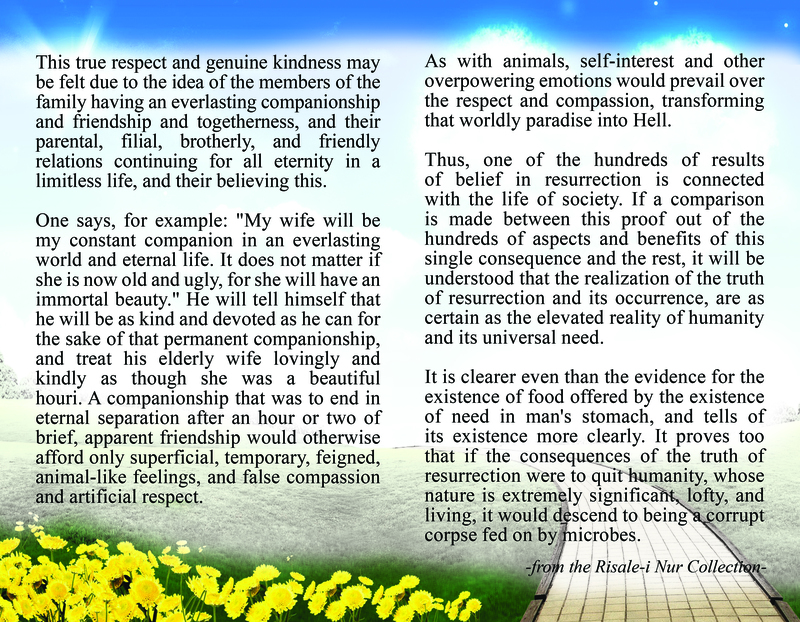 – Meet with the brothers&sisters from our community. This year’s convention theme is “Islam: The Pursuit Of Happiness”. 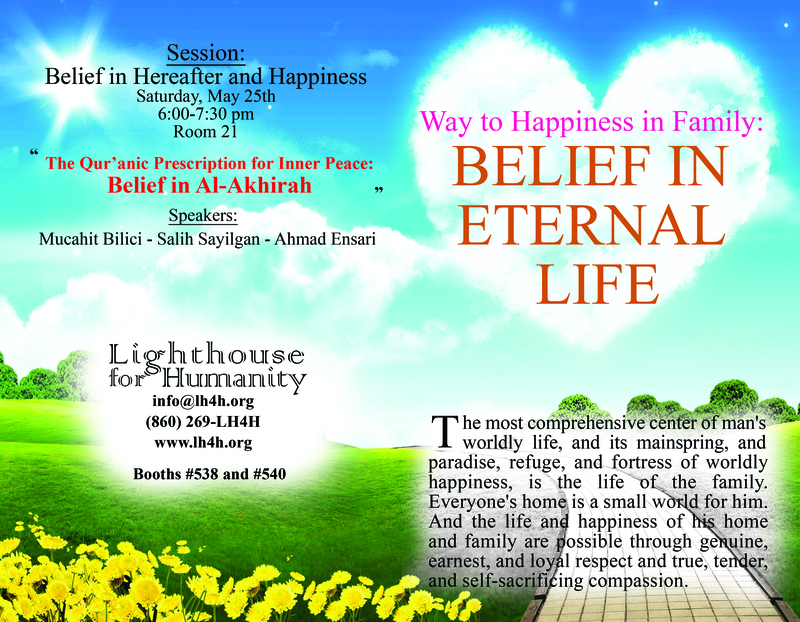 We have two speakers having a session on “Belief in The Hereafter and Happiness”. Come join our session, visit us at our booths #538 and #540, give us your opinion and tell us about Risale-i Nur and our organization. Not attending convention? Do not worry, we will be blogging to share our booth content and other convention happenings.